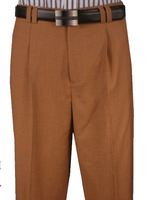 Men's wide leg pants and slacks reflect a culture and attitude that is uniquely African-American in nature. The full baggy cut that you find with a pair of wide leg dress pants for men gives the wearer maximum comfort almost like a pair of his favorite sweatpants and will hit your Stacy Adams Shoes just right. Who likes wearing a Double Breasted Suit with style. The loose fit starts baggy on mens wide leg dress pants with it's Urban style pleats and stays loose all the way down to shoes with a 21-22 inch opening like a stovepipe. 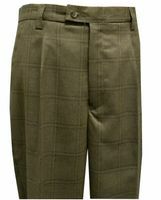 These are mens wide leg slacks that combine style and comfort at the same time. You'll find that men who wear mens wide leg pants and slacks as well like to wear long toe Italian style dress shoes that compensate for the amount of shoe that would be shown otherwise. Another feature that you're going to find with mens wide leg pants is that they are not bound by office wear rules and tend to be far more stylish with it's Urban reflection with the use of both solid color and pattern fabrics that reflect the wearers personal sense of style. You're going to find the very latest fashion pattern fabrics such as plaids and bold stripes on wide leg pants which really brings the boldness of the wearer to the party.